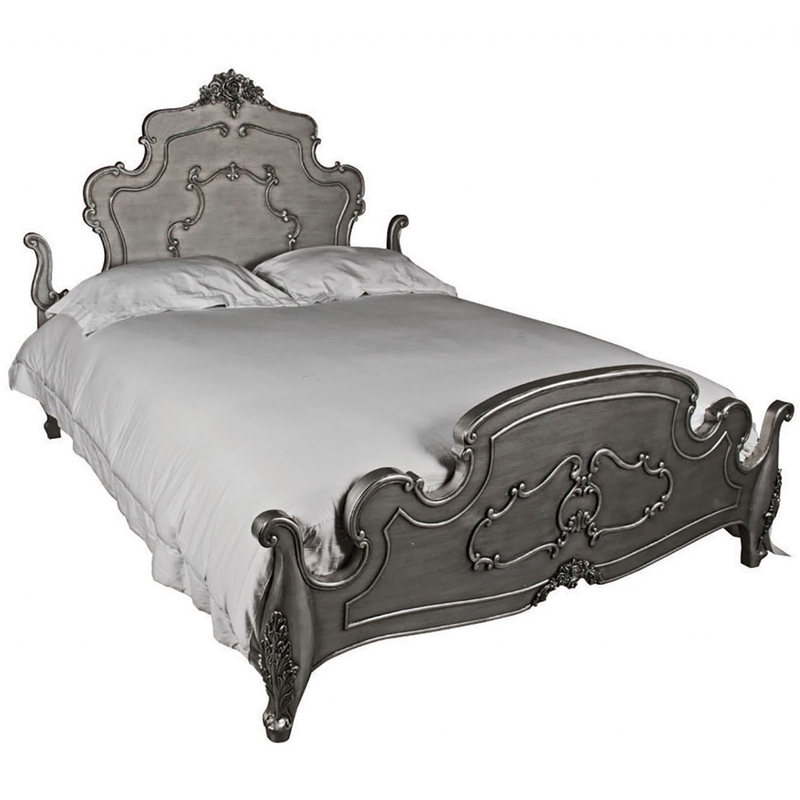 This wonderful antique French bed featured is finished in a delightful silver and crafted from solid wood. This beautiful classic style furniture has been made to give a unique antique look and creates a wonderful image of the past. Handcrafted from only the finest of materials, this stunning bed will look marvelous co-ordinated alongside our exquisite shabby chic furniture.